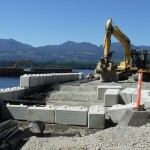 Ruskin Construction has been intent on developing our marine capacity for two decades with the strategic acquisition of various marine construction companies in Prince Rupert, Ladysmith and Victoria, BC. These significant investments have allowed Ruskin to expand our equipment and personnel resource base to further meet the growing demands of our customers. Ruskin has taken our marine capacity to a wide range of locations, both extremely remote and densely populated, with varying weather extremes, significant logistical challenges, and strict regulatory requirements. Our steady workforce of trained supervisors and journeymen has the know-how to deal with the varied challenges marine construction presents. 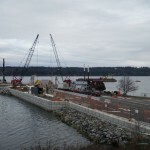 Be it weather, tide changes, or coordination with other marine traffic, Ruskin crews have the experience to mitigate any risk presented to ensure a quality project is delivered on time and within budget. We are dedicated to the North American marine infrastructure market, and have completed several projects in active facilities where precise scheduling of our operations was imperative to ensure client productivity was not impacted. The range of our marine services varies from pier, wharf and dock construction and rehabilitation to marine salvage and dredging. Our substantial capacity and competency with a variety of foundation and ground improvement options allows Ruskin to provide owners with alternate solutions while meeting design requirements. Client: BC Ferry Services Inc. 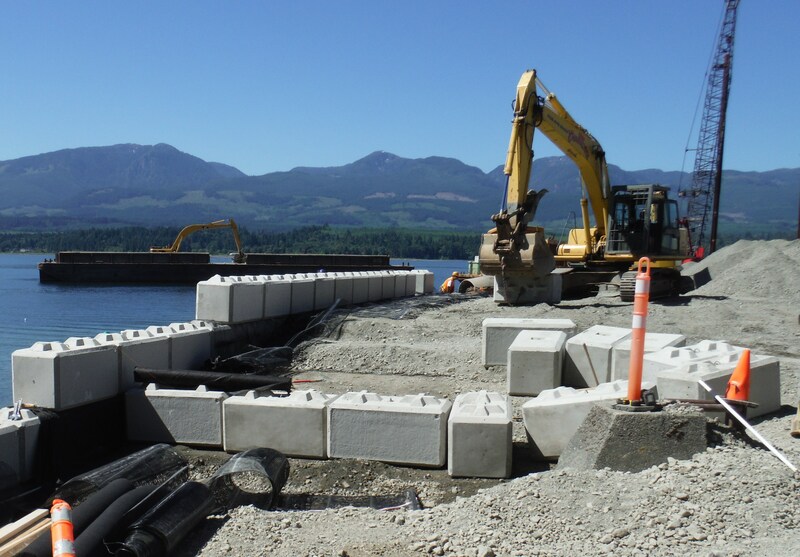 In June 2014 Ruskin Construction started work on the Buckley Bay/Denman West Cable Ferry Terminal Upgrade. 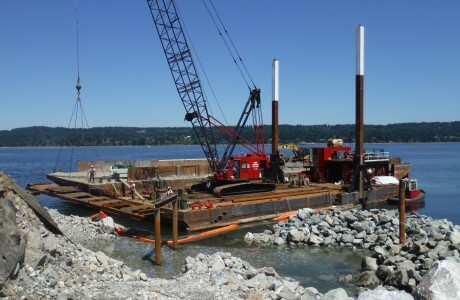 The project, which is a key link between Vancouver Island and Denman Island, included expansions to the berths and terminals on the both Buckley Bay and Denman sides in preparation for the installation of the longest cable ferry in the world, and the only cable ferry in the BC Ferries fleet. Foreshore expansion, including: lock block walls with geo-grid tiebacks, granular fills, rip rap protection and environmental compensation. 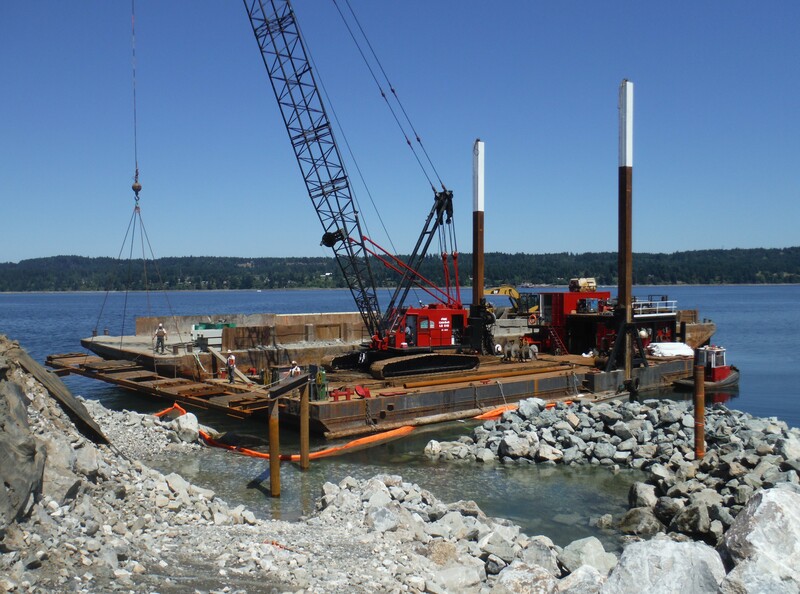 Installation of reinforced concrete, including: ramp abutments with pile foundations and soil anchor tiebacks and cable pulling pits with soil anchor tiebacks. Concrete curbs and sidewalks, asphalt paving and line painting. 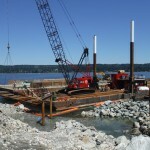 Supply and Installation of structural steel including vehicle ramps, steel pipe pile mooring dolphins, pedestrian walkways, and marine fenders. Upgrade of electrical and hydraulic systems infrastructure. 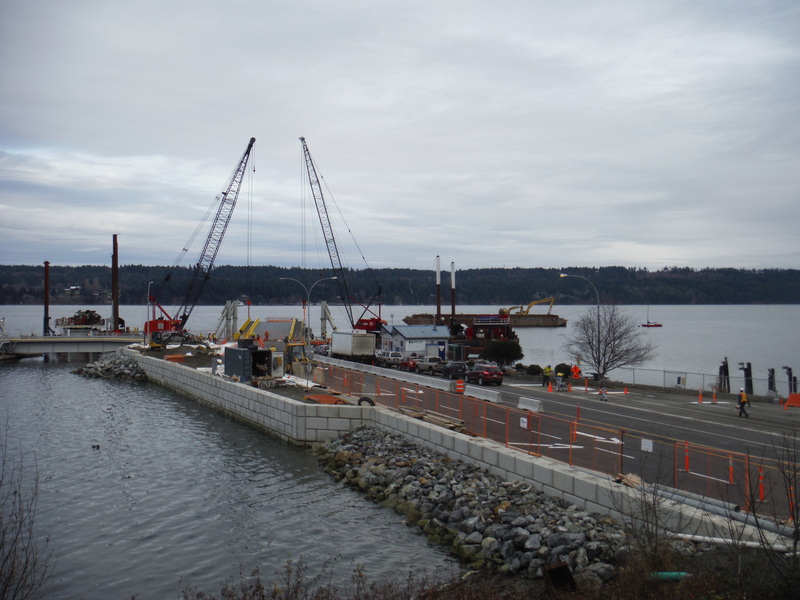 Demolition and reinstatement of part of the existing trestle on the Denman side.